Harvey Weinstein is taking a leave of absence from the company that bears his name following allegations of sexual harassment. Hollywood powerhouse Harvey Weinstein announced he was taking a leave of absence from the company that bears his name following charges of sexual harassment that date back decades, from employees to actresses Ashley Judd and Rose McGowan, The New York Times reported. In a statement to the Times Thursday afternoon, Weinstein said: "I came of age in the 60’s and 70’s, when all the rules about behavior and workplaces were different. That was the culture then. I have since learned it’s not an excuse, in the office - or out of it. To anyone. I realized some time ago that I needed to be a better person and my interactions with the people I work with have changed. I appreciate the way I’ve behaved with colleagues in the past has caused a lot of pain, and I sincerely apologize for it. Though I’m trying to do better, I know I have a long way to go. That is my commitment." Two company officials tell the Times that at least eight women have received settlements from Weinstein over the years, including McGowan, who allegedly had an incident with him in 1997 when she was 23. "Women fight on. And to the men out there, stand up. We need you as allies. #bebrave" she tweeted on Thursday. "Anyone who does business with __ is complicit. And deep down you know you are even dirtier. Cleanse yourselves." A New York Times spokesperson released a statement in response: "We are confident in the accuracy of our reporting. Mr. Weinstein was aware and able to respond to specific allegations in our story before publication. In fact, we published his response in full." Weinstein has also hired celebrity lawyer Lisa Bloom to represent him. Bloom of late has made a career representing female clients in high profile cases. Among Bloom's clients are Blac Chyna and Kathy Griffin. While Bloom said in a statement to the Times that Weinstein "denies many of the accusations as patently false," Weinstein said he regretted unspecified misdeeds that occurred. "My journey now will be to learn about myself and conquer my demons," he said. "Over the last year I've asked Lisa Bloom to tutor me and she's put together a team of people. I've brought on therapists and I plan to take a leave of absence from my company and to deal with this issue head on. I so respect all women and regret what happened. I hope that my actions will speak louder than words and that one day we will all be able to earn their trust and sit down together with Lisa to learn more." 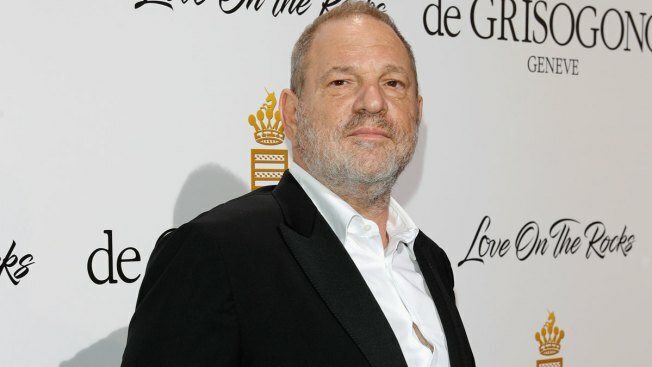 Weinstein had a powerful perch in Hollywood for three decades, and was known for producing films like "Pulp Fiction" and "Shakespeare in Love," for which he won an Oscar, and launching careers of actors and directors with his company Miramax, which he ran with his brother Bob Weinstein. In 2005, they launched a new production company, The Weinstein Company. His often aggressive tactics were chronicled in the Peter Biskind book "Down and Dirty Pictures." He has been married to designer Georgina Chapman since 2007. They have two children together. He also has three children from his previous marriage.